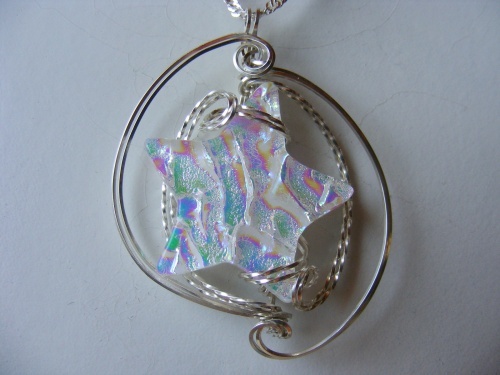 This beautiful dichroic star, was made by glass artist Rhonda Young. It is sculpted with argentium silver and shines so many colors that it has to be seen to appreciate. Piece measures 2" from top to bottom and comes with a sterling silver chain.